I remember a time not too long ago when the Internet was called the Information Superhighway – an apt epithet, considering the millions of people who surf the Internet everyday looking for how-to articles and infotainment. And one way to get YOUR brand noticed is to be the one giving that information out. For free. Content marketing describes this process to perfection. By creating useful and engaging content, thousands of brands are winning sales and escalating their ROI on a daily basis. 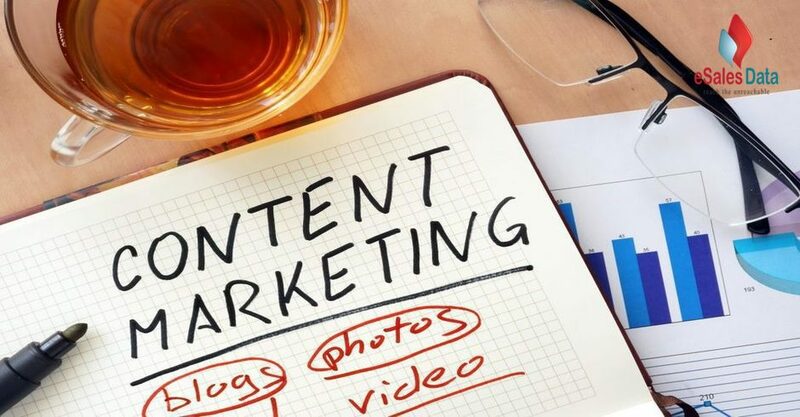 Here’s a quick guide on how you can leverage the power of content marketing to push your brand to the fore. Figure what the aim of your content marketing efforts should be. Are you attempting to drive more traffic to your site? Increase brand visibility? Supplement your SEO efforts? Or a combination of all three? There is no point in creating loads of helpful content if it isn’t going to deliver results. Any kind of marketing venture should have clearly defined goals, complete with a strategies and deadlines. These strategies should determine what you post and where you post it. However, a little spontaneity wouldn’t go amiss either. Tie current events into the occasional article or blog post and you’ll experience a real boost in your SERP rankings. Creating a profile of your best customers is a great way to quickly zero in on a target audience. Once you have an idea of who you should be targeting, it’s time to determine what you throw at them. Extensively research your customer and prospect base and find out what interests them, what they are talking about. As far as possible, try putting yourself in a customer’s shoes and base your content on what they are likely to find engaging. Plans things much in advance and create deadlines to meet your goals and aims. Primarily, you’ll need to isolate when, where and what. Where – Isolate the networks and portals that are likely to help you most with your targets. When – Create a posting schedule and stick to it. I simply cannot emphasize the need for consistency when it comes to content marketing. Much like blogging, effective content marketing requires that you deliver quality content on a regular basis. What – Plan a series of topics and headlines to but allow a degree of flexibility so that your spontaneity comes through once in a while. You can boost the visibility of your content by incorporating keywords with strong search traffic. Diversify your content by creating posts in multiple formats, i.e., infographics, videos, blog posts, articles, etc. Immortalize your content by ensuring a percentage of it is evergreen. Evergreen content will drive a steady amount of traffic to your site over a long period of time delivering quality content that is perennially interesting. Curate-lists: Search engines love curated content and so do users. And why wouldn’t they? Interesting and relevant information in list format generally makes for an entertaining and educational read. Design: is critical to the continued success of your content marketing campaign, especially when it comes to your website and blog. Without good design and the right visual cues, your work will come across as shabby and boring and you’ll destroy any hope of building yourself up as an informational authority. Hire a professional content writer if you lack the skills or the time to consistently develop content. 5. Use Everything You Can Log Into! Content marketing is usually free, so don’t hesitate to take full advantage of the many opportunities it offers you. Integrate content marketing into your social media efforts with forum contributions, tweets, status updates, links to appropriately engaging content, etc. Create blog posts, articles, white papers, podcasts, videos, press releases, and curated lists while achieving high visibility with aggressive, white hat SEO tactics. Understanding and tracking metrics are absolutely essential to any marketing strategy, long-term or short term. When it comes to content marketing, you’ll watch to keep a close eye on your page views, subscriptions, conversion rates and ROI. There is a milieu of performance indicators to watch out for and metrics tend to vary depending on the formats and media that channel you content. At the end of the day, what really matters is that you analyze these metrics in terms of how they affect your results and optimize your efforts to improve them.